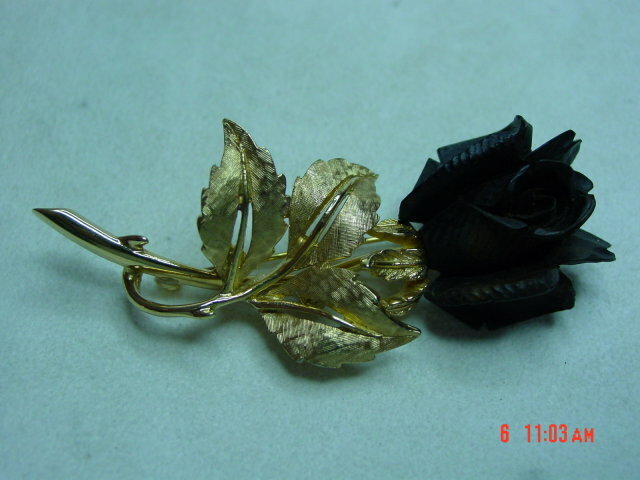 This vintage goldtone rose brooch is made by Boucher. 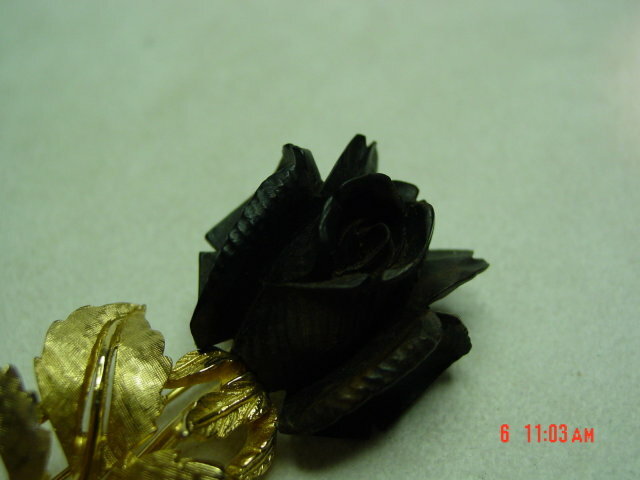 The flower is hand carved out of some type of wood which has been stained a dark, almost black color. 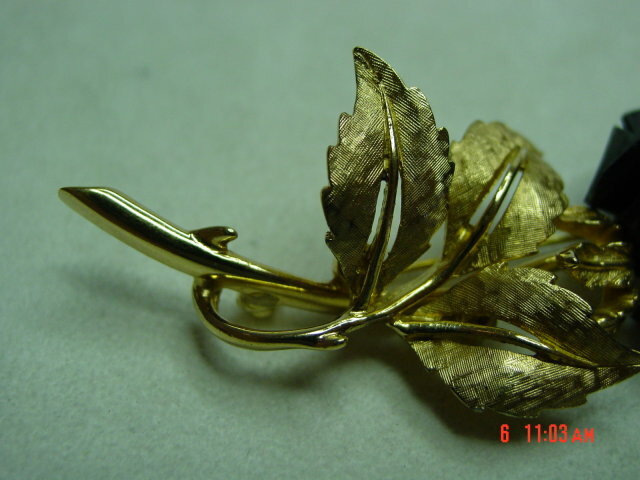 The grain is visible on the back of the flower, and three leaves are textured on the top. The back of the stem is marked BOUCHER. This pin is in excellent condition. 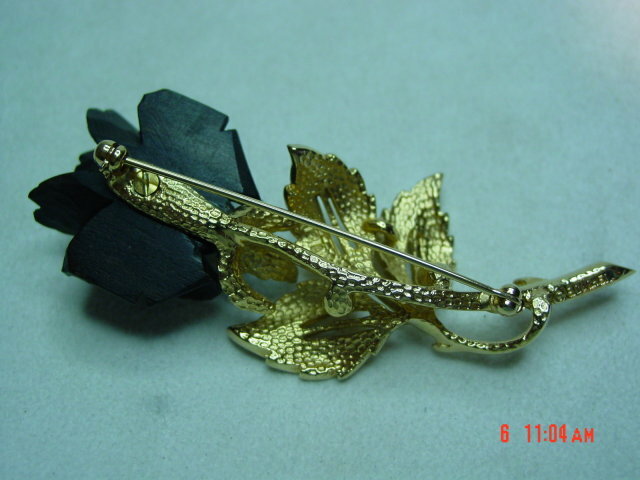 Items Similar To "Gold Boucher Black Rose Brooch Pin"